Rob had been her first lover, and she had been his. It was always amazing to her that when all her friends spoke of losing their virginity, they all said how awkward it was, but with Rob it had been beautiful. They had been so in love at seventeen and so confident of their future together that making love had been as natural to them as the simple act of breathing. JORDAN'S RETURN by Samantha Chase is a sweet and hot second-chance-at-love contemporary romance set in a small beach-side town. 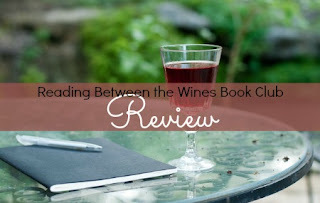 This book was originally published in 2011 and was re-released on June 7, 2016. This couple definitely had sparks and they deserved happiness, but communication was a serious obstacle for them resulting in angst aplenty. This is the story of single mother Jordan Manning and successful architect Rob Tyler. Supporting characters included Jordan's kids and the sisters of both primary characters which gave the story a family feel. Jordan is recently divorced from an abusive husband and all she wants now is a quiet summer at the beach with time to reconnect with her sons and regain her health and confidence. She didn't expect to run into the first love of her life there - who had broken her heart and caused her to run into the arms of the man who later became her husband. Meanwhile, Rob is determined not to let Jordan disappear from his life a second time. He wants the future they both envisioned years ago..
She longed to find out if the sparks would still be there, if her body would still quiver at his touch. When Rob arrived five o'clock sharp, Jordan had her answer. He climbed out of the truck. Seeing her standing in the doorway, he walked very slowly toward her, like a predator stalking its prey. He was a man on a mission, and Jordan stood frozen to the spot. Rob stopped short in front of her and without any notice, cupped her face, and brought his mouth down on hers. "I can't do this with you again and then watch you go," she admitted, her breathing ragged. Her skin tingled all over where their bodies touched and it felt as if it were over a thousand degrees in the house. "Rob?" she whispered, unsure if he would be easy to wake. "Hmmm?" he answered sleepily, kissing her on top of her head as he pulled her naked body closer. "Were you expecting someone else?" Samantha is one of my favorite authors. This couple's story is both heart-breaking and heart-warming. I wanted to shake each of them as much as I was pulling for them. They were obviously perfect for each other - but, durn it, it sure wasn't a given that they'd find their way back to trusting and loving each other. 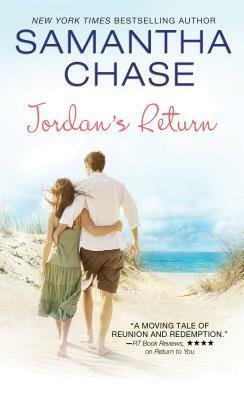 I would recommend JORDAN'S RETURN to anyone who enjoys light, small-town second-chance romances.